"What the world needs now is Ukelele. You know, this is the underdog of all instruments and I always believed that it is the instrument of peace because if everyone played the Ukulele this world would be a much happier place." ATLANTA –The Ferst Center for the Arts at Georgia Tech 20th anniversary season continues with “the most widely heard ukulele player alive today,” (Fretboard Journal) Jake Shimabukuro on Saturday March 31 at 8 p.m. Shimabukuro will perform tracks from his latest album, Peace Love Ukulele. In the hands of Jake Shimabukuro, the traditional Hawaiian ukulele of four strings and two octaves is stretched and molded into a complex and bold new musical force. On Peace Love Ukulele, which debuted at the top of the Billboard World Album Chart, Shimabukuro mixes jazz, rock, classical, traditional Hawaiian music and folk, creating a sound that’s both technically masterful and emotionally powerful. His career skyrocketed when a YouTube clip of him performing “While My Guitar Gently Weeps” in Central Park went viral. The video now has close to 10 million views. 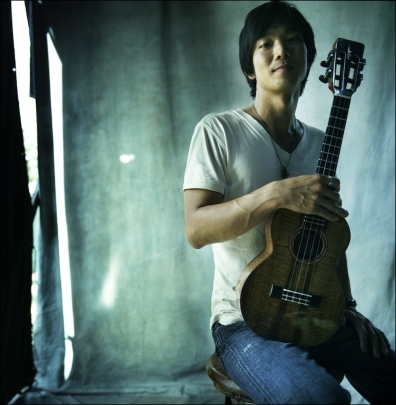 In the years since the clip aired, Shimabukuro has performed with Bela Fleck and the Flecktones, Bette Midler, Yo-Yo Ma, Cyndi Lauper, Ziggy Marley, Levon Helm, Marcus Miller, Stanley Clarke, Les Paul, Dave Koz, Chris Botti and Jimmy Buffett. He’s performed on “Jimmy Kimmel Live!,” “The Late Show with Conan O’Brien,” “The Today Show” and “Last Call with Carson Daly.” Shimabukuro was a featured artist on NPR’s “Weekend Edition” and Rolling Stone Live, and he recently received a cameo in the Adam Sandler movie “Just Go with It,” where he also recorded a few songs for the soundtrack. Ticket and Performance Information: Tickets: $30 and special children’s price of $22. For information and directions (349 Ferst Drive, Atlanta, GA, 30032-0468) contact the Ferst Center Box Office at 404-894-9600 or visit www.ferstcenter.org.